Gold Walkley winner Hedley Thomas has described ABC newsman Paul Lockyer as a “truly outstanding storyteller” and has urged young journalists to follow his example. 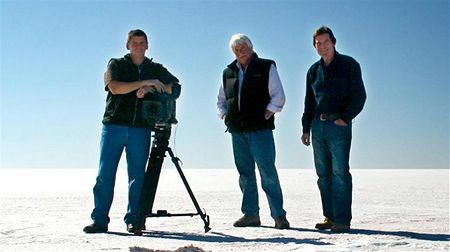 In his keynote speech at the 2011 MediaPass Student Industry Day in Brisbane, The Australian newspaper’s national chief correspondent paid tribute to the veteran ABC journalist who was killed last month with cameraman John Bean and pilot Gary Ticehurst in a helicopter crash at Lake Eyre. Mr Thomas (pictured left) described qualities a good journalist should possess – immense curiosity, determination and contrarian tendencies. Most important, he stressed, was a quality which defined Paul Lockyer as a journalist – an affinity with people. “You need an affinity with people and you need to be able to derive a great personal satisfaction from hearing their stories, bringing their plight to public attention and never forgetting that the real story lies with the people,” Mr Thomas said. Hedley Thomas met Paul Lockyer only a couple of times but admired him from afar, having viewed footage of the correspondent “speaking to the camera and narrating the stories” from Cambodia to Grantham. 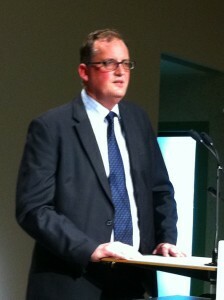 “I heard a man who was genuine in his compassion and sincere with his humility,” Mr Thomas said. Mr Thomas said disregard for showiness or fanfare was fundamental to Paul Lockyer’s success as a journalist over four decades. “In the era of celebrity TV journalism, Paul kept it real,” he said. According to a former colleague Paul Lockyer had worked out early that a calm, natural and up-front honest approach to a story would get him a lot further than an aggressive, hectoring approach. Hedley Thomas began his journalism career as a cadet with the Gold Coast Bulletin and has won five Walkleys. The MediaPass Student Industry Day is organised by the Media Entertainment and Arts Alliance.